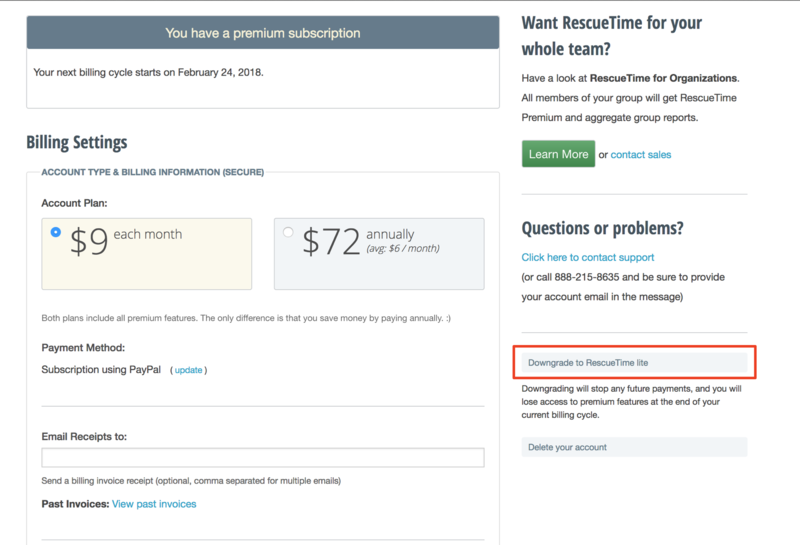 How do I cancel my RescueTime account? We hate to see you go, but we understand! Customers with a paid account can cancel anytime. Canceling is like unsubscribing. You can keep your login, save your data and use the free version of the application. But it prevents any further billing from happening unless you decide to upgrade to paid account again. Navigate to Account Settings > Billing. 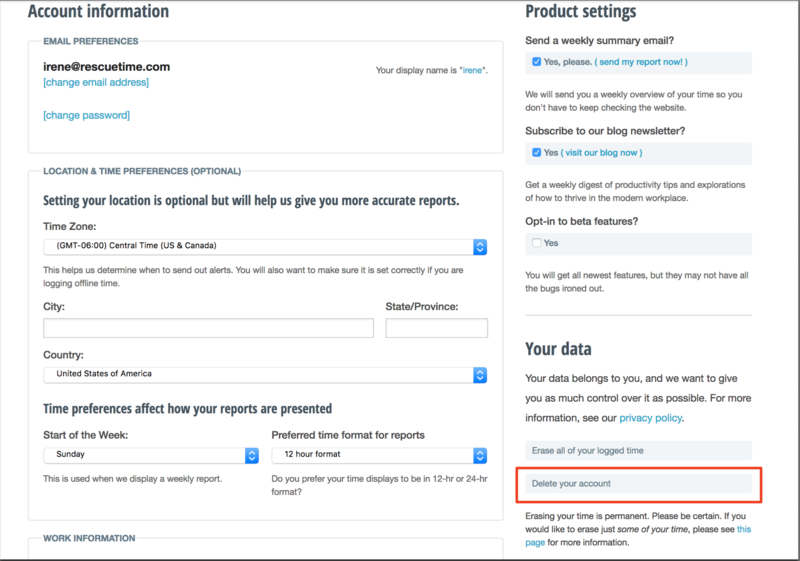 Click Downgrade to RescueTime lite. If you would like to remove your account, along with all your data, you can. However, please note that this action is non-reversible. Once the data is gone, it is gone for good. Navigate to Account Setting > Account.